This page introduces essential vocabulary that is used in the Uzbek and Turkish languages. You will explore similarities and differences between the two languages by comparing words and their meanings. Similarities between the two languages will empower and speed up your language learning. 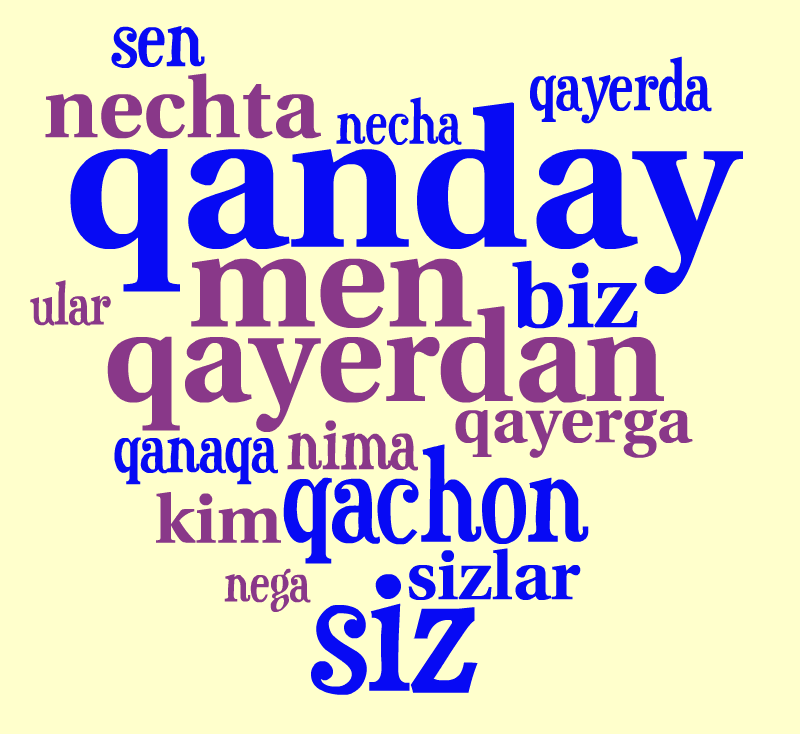 In this section you will find a list of common words in Uzbek, Turkish, and English. Additionally, a list of cognate words is provided. You will have a chance to compare the meanings of some Uzbek and Turkish cognates. In this section you will compare Uzbek and Turkish pronouns. Uzbek tends to have more pronouns than Turkish. Uzbek and Turkish numerals are very similar. You can easily learn them on the first day. The main difference is in spelling and pronunciation. 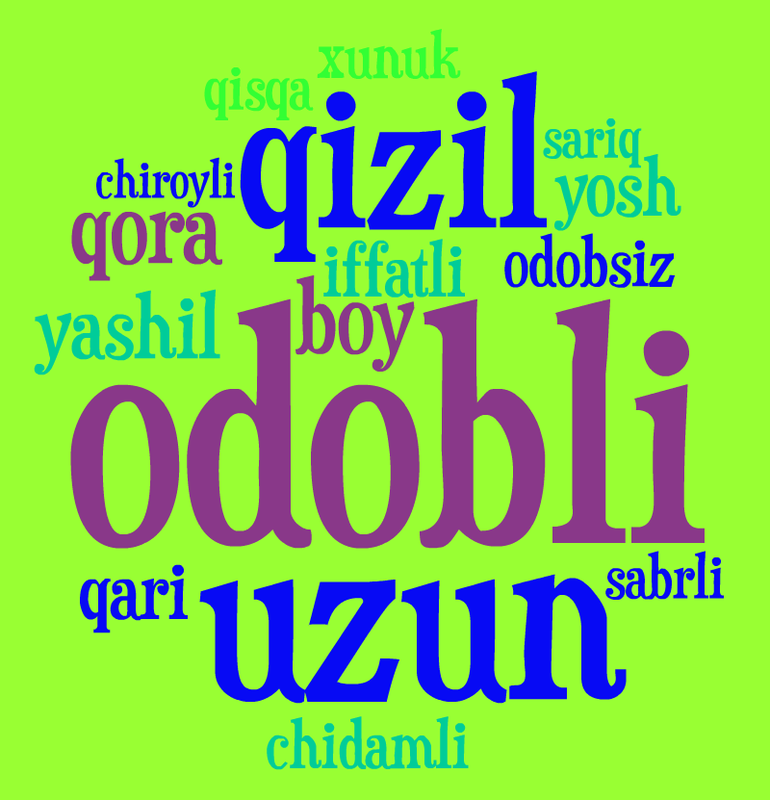 Turkish ordinal number suffixes change due to vowel harmony, but that is not the case in Uzbek. Explore adjectives in Uzbek. Find out what is similar and what is different from Turkish. In this section you will find a list of common adverbs in Uzbek and Turkish. 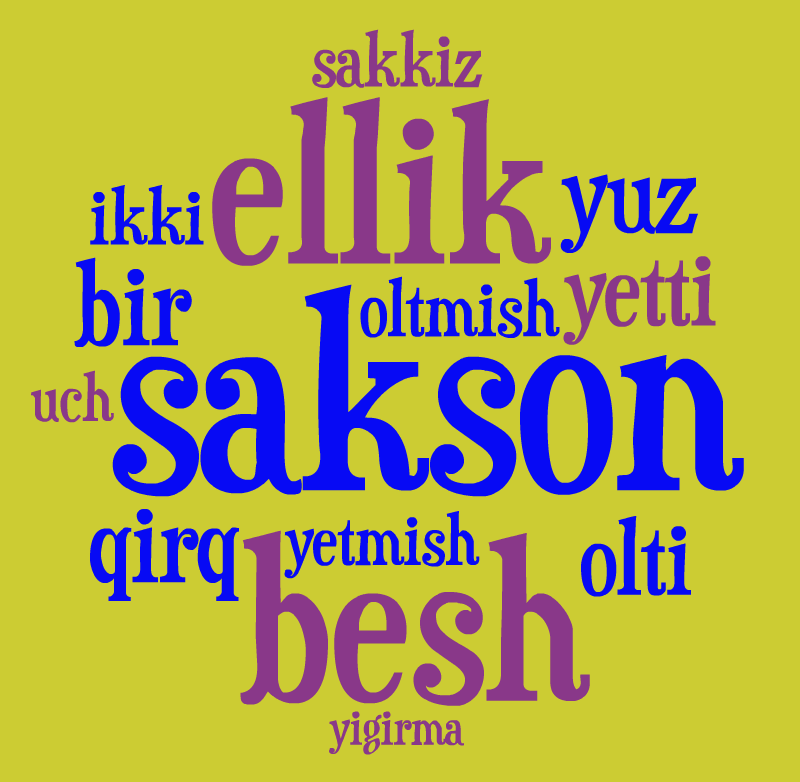 Verbs are more complex in how they differ from one another in Turkish and Uzbek. Even though some forms are similar in both languages, they may have different meanings and functions.